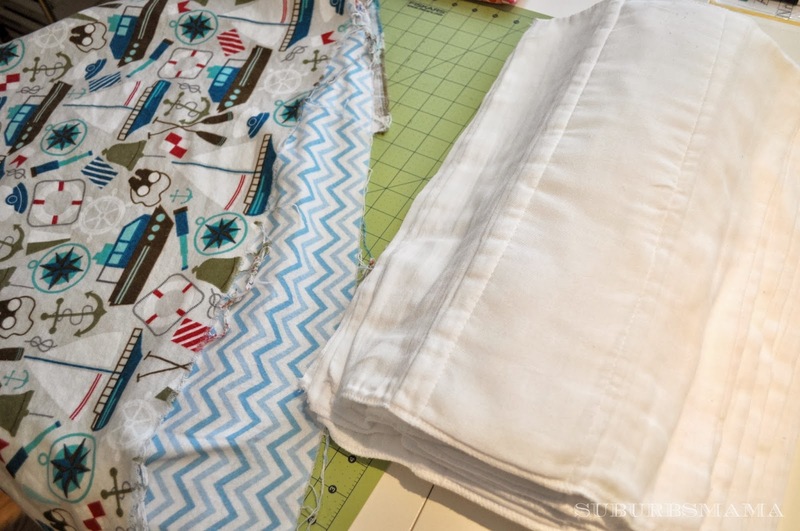 I have been on a sewing for baby kick, I blame the nesting, plus the frugal me. 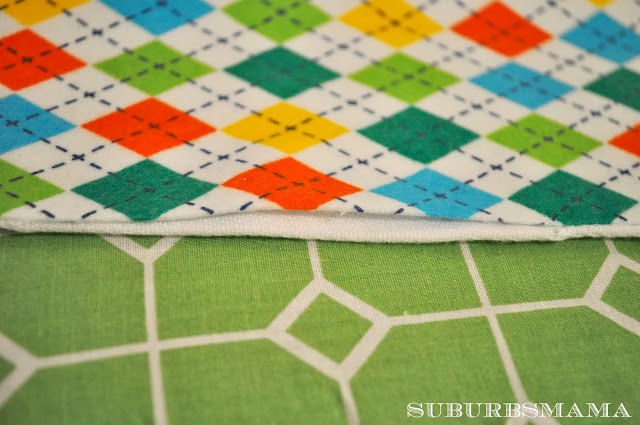 I was planning on buying some cute burp cloths on Etsy. 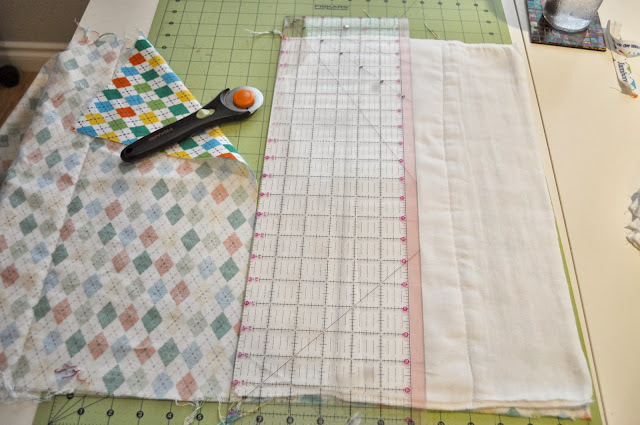 But I was shocked at the price, I know that people gotta make their money and all, but this is such a simple and easy project, I just figured I would do it myself and show you how to make a few to! My babies spit up alot. My Pediatricial said that is becuase I am over feeding them, but hey, I am nursing them. I nurse them on demand and as long as they want to. 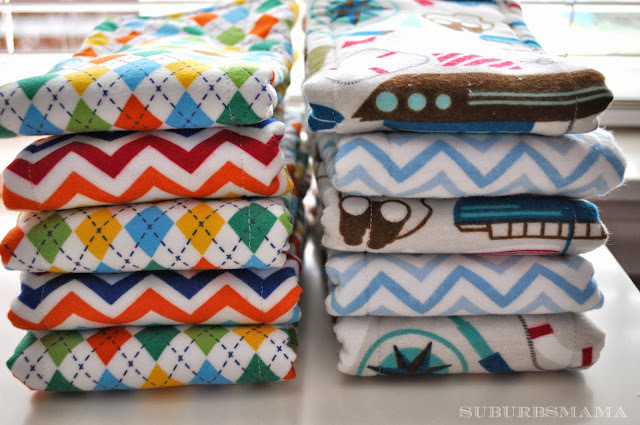 With my son, I just used recieiving blankets and cloth diaper prefolds. The receiving blankets were not thick enough so the spit up went right through and the prefolds where kinda ugly. So I decied to combine the two togehter. I bought a pack of Gerber prefold diapers from target. They were $12.99 for 10. 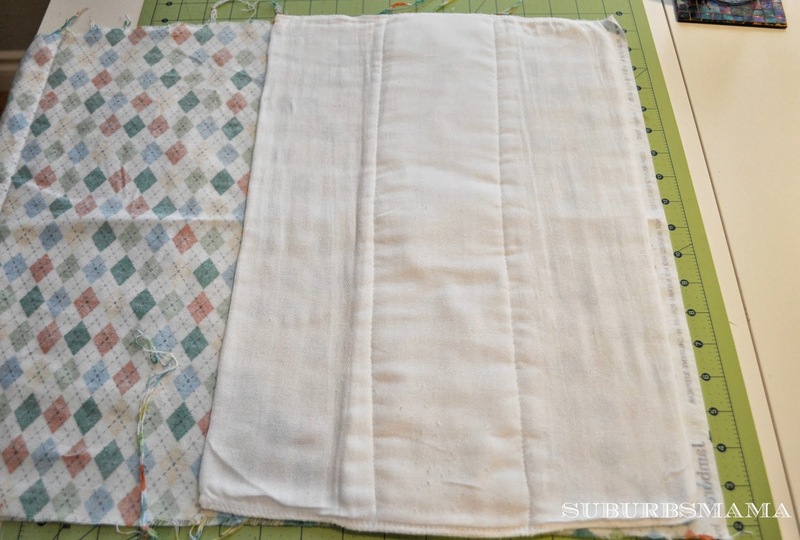 Then I got 2 yards of flannel fabric. I got 4 different prints, so I got 1/2 a yard of each print. Flannel is so inexpensive. 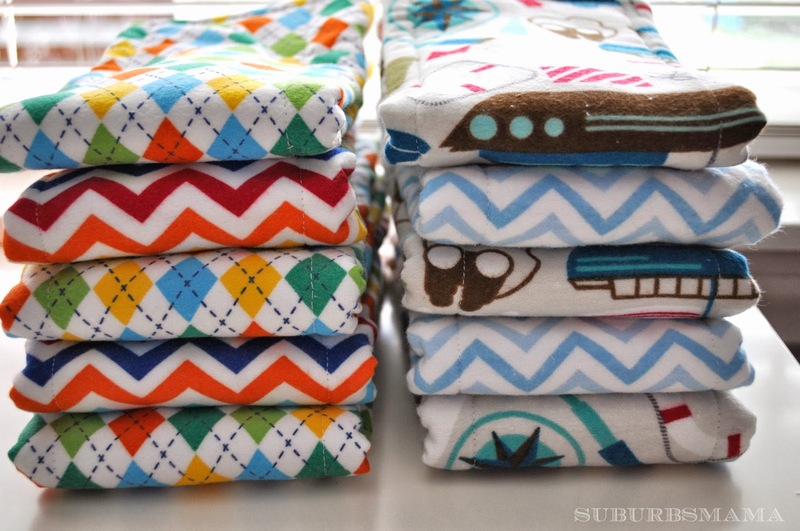 The total cost for 10 burp cloths was $24.99, thats $2.49 per burp cloth! 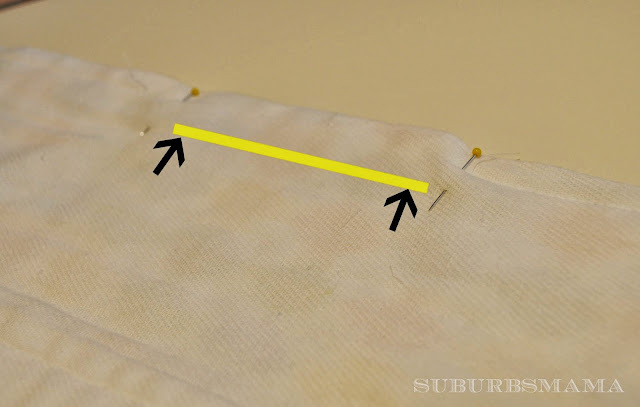 First you MUST wash your prefolds and fabric before you begin, because they will shrink! 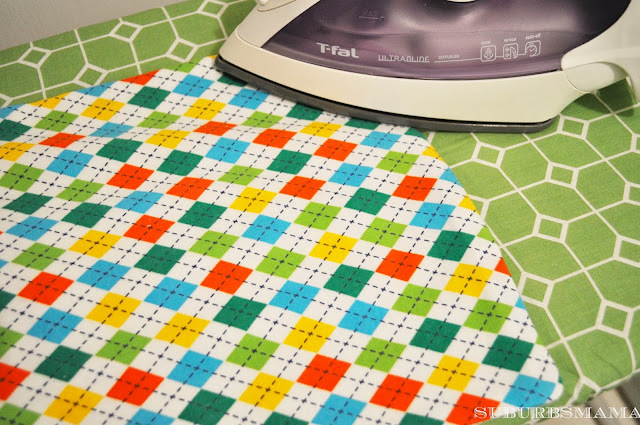 Take the time to iron everything after they dry. Thats is! Now you are done! I made all of these in one evening, I am sure this is way more then I need, so I will be sending a few to my sister who is also expecting a boy! 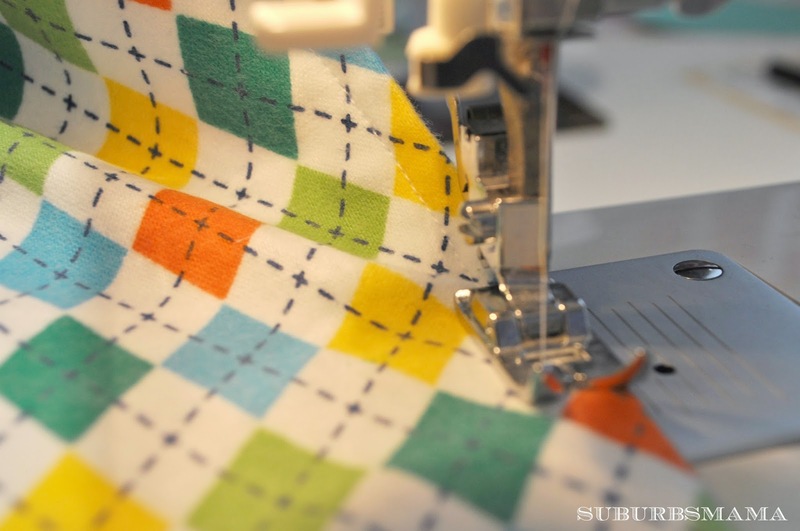 Thank you so much for visiting, stay tuned for more baby sewing projects! Nice. 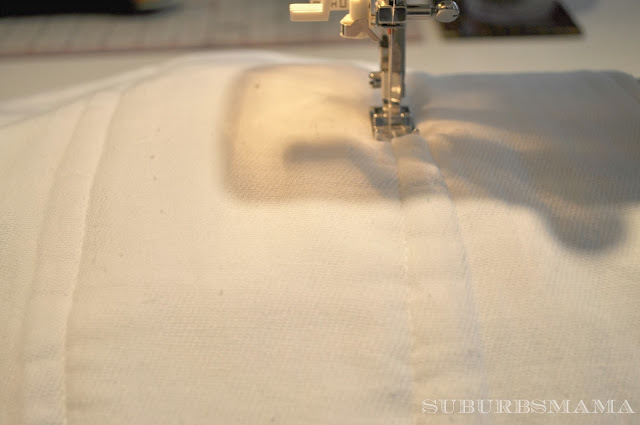 Looks easy but all I can sew is a button on a coat. 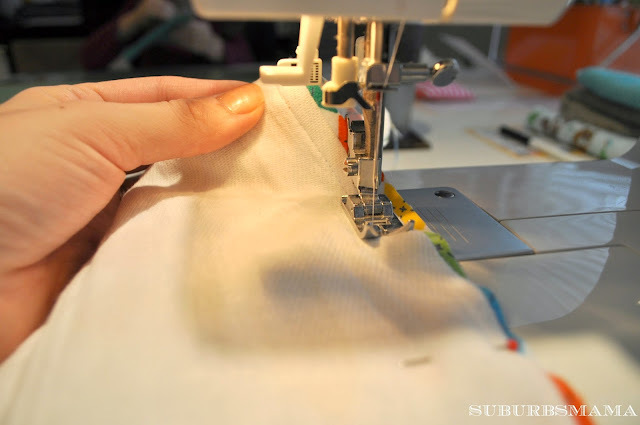 Never sewed before. 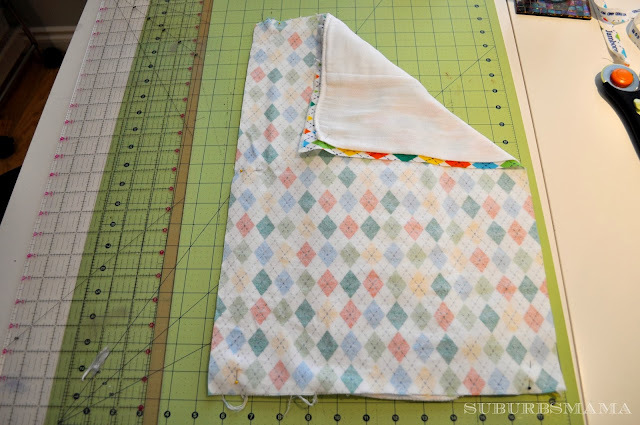 Great tutorial :) I will make a few of these for a friend that is expecting. 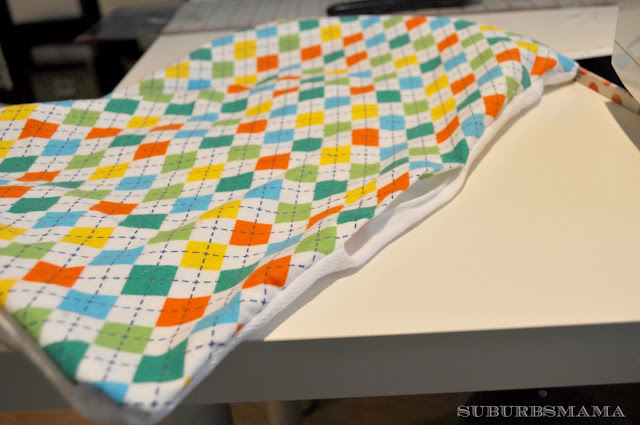 Burp cloths are something you just can't do without. I love the fabric you chose. I had a few friends who made them for me as baby gifts. They came in super handy, especially with #3. Hi, where did you get the argyle/chevron fabric you chose? I love it! 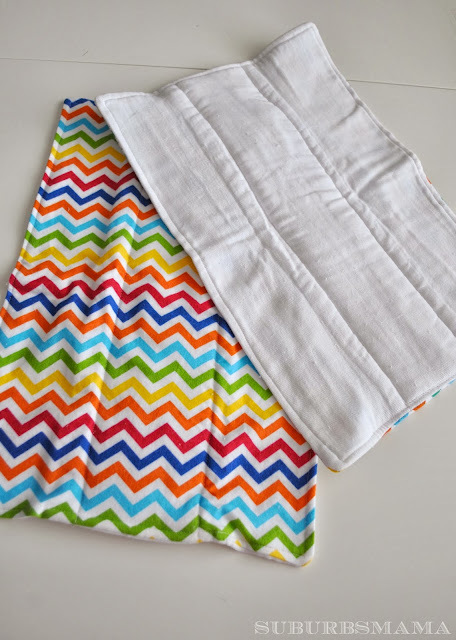 I make these (and use them with my son), except I use an inexpensive towel from Target or Walmart. I don't know how people survive without less than a hundred of these. P.S. - my baby spits up a lot, too. 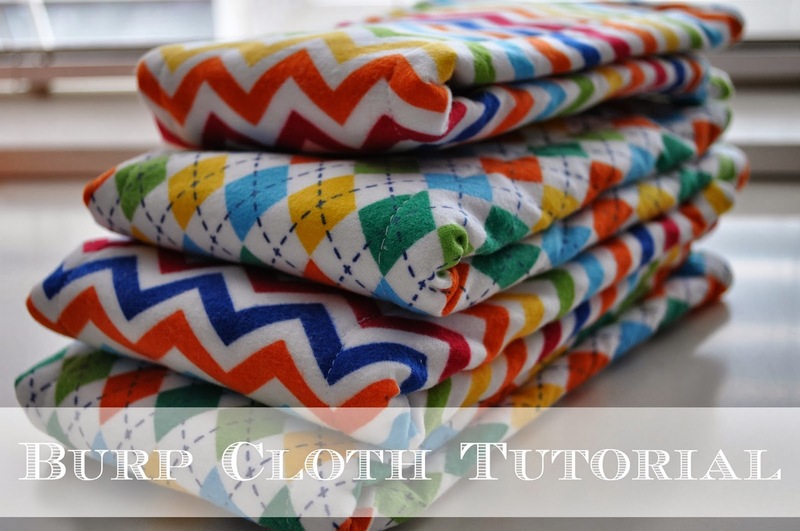 Great tutorial :) Burp cloths are something you just can't do without.